We are extremely communicative. During our conversation s , we develop an idea of your project ’s vision and work together toward the realization of your dream. We see ourselves as much more than just some wedding or corporate events decorators. Each flower petal of the floral decoration, each themed world, each event we intend to create – during the conceptualization phase, we think of every small detail and find its right place. The instinct we acquired after all those years as Berlin’s leading event furnishers makes us your ideal identity c onsultant. We think, sketch and plan each event precisely, until the vision has become reality. Each concept by flores y amores is typical. Not quite sure how you want to design your space yet? Our experts will gladly advise you toward the conception of your event. We plan, design, and produce: from big corporate events to the small memorable nights with the inner circle. You want to bring your brand into the limelight? It’s our pleasure! We make sure that your message is received with the presence it deserves and that it makes a lasting impact on your guests. The only thing that comes out of a regular printer at our creative factory, is your wish and imagination developed to fit perfectly in scene. We possess a large and diverse network of partners that help us cover every corner of the surface. 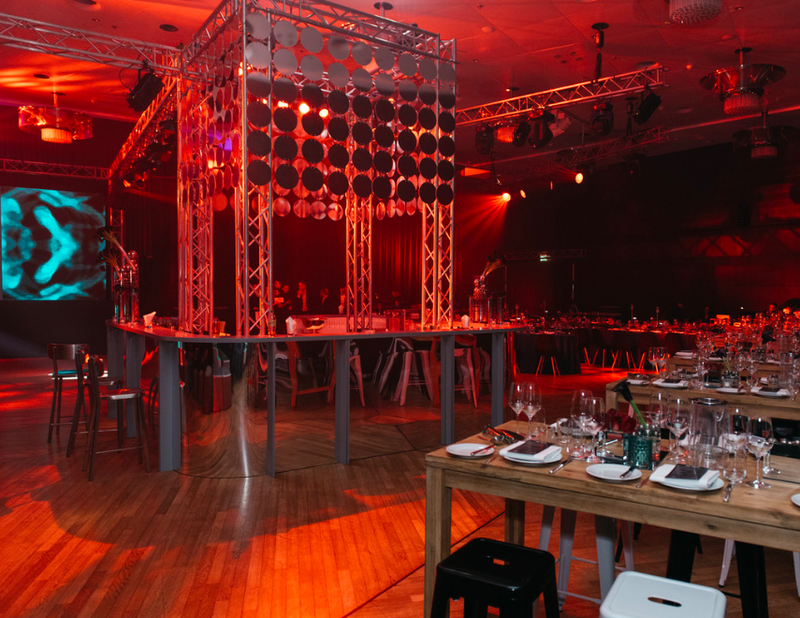 Our experts come prepared with the skills to create innovative concepts, the knowledge around the power of illusion, and a lot of improvising talent to make your event one-of-a-kind. Because each space brings countless possibilities, our team helps you to reinvent and stage your space anew. More than two decades of experience pays off - we just know how to put all our clients’ wishes and ideas into practice. Our Don’t-You-Worry-Consultation guarantees that our identity consultants arrange the perfect decorative design for your event. Take a look into the depths of our treasure chest and choose your favorite decoration. Dive headfirst into another world and take your guests on an incredible journey they won’t easily forget. Our range of creative ideas for the conception of the ideal theme is nearly endless: you want to travel to Candyland or perhaps a gambling night for a corporate event à la Casino Royale? Our team is awaiting your challenge. The first thing we hear very carefully.. For each project requires an individual approach. Then we describe the main issues in order to understand exactly. And then we leave for your perfect event nothing to chance. For our event concepts we not only think with, but also before and on. Regardless of whether you come only with a vague idea or clear guidelines on us to actively participate in the design or want to relax and concentrate anticipation. With many years of know-how and fresh ideas, we design first-class events, the thrill immediately and remain sustainable positive memories. We’d be delighted to advise you personally!